That spooky doll Annabelle is all set to be at it again — and now we have a pretty good idea of what she's going to be up to in her third movie. After its existence was first revealed in April by The Hollywood Reporter, details about the third movie in the Annabelle series of horror movies have finally emerged, courtesy of the ScareDiego preview event at San Diego Comic-Con. According to Screen Rant, the details on the third movie in The Conjuring's first spinoff series were revealed on stage by producer James Wan and Annabelle and It screenwriter Gary Dauberman, who is also taking on his first directing gig with the third movie about the notoriously haunted doll. "I'm still finalizing the script," Dauberman said, according to an account of the event by Birth Movies Death. "But it really picks up with the Warrens bringing Annabelle to the place where it can really no longer wreak havoc, which is their artifact room." Dauberman is naturally referring to the location we first saw the Annabelle doll in during the first Conjuring movie, which introduced the world to the horror movie versions of real-life total hucksters paranormal investigators Ed and Lorraine Warren. "But, of course, it turns out she can also wreak havoc there," Dauberman continued. "And she really awakens the evil within that room and they target the Warrens' 10-year-old daughter, Judy. So, that's the setup." And what a setup it is. If we're picking up what Dauberman's putting down, it sure sounds like this movie will do a lot of legwork in tying the Annabelle series even closer to the Conjuring movies that it first sprung from, further cementing the increasingly-viable Conjuring cinematic universe — arguably the most successful cinematic universe going right now that's not being produced by Marvel Studios. "Annabelle basically activates all the other haunted artifacts in that room," Wan said. "So, it's basically A Night at the Museum, with Annabelle!" 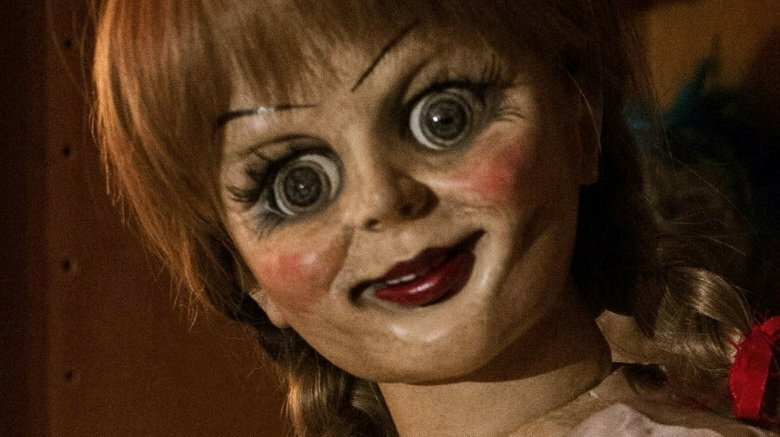 We don't know the official title of Annabelle 3 yet, but if that doll's wicked ways continue unabated, it probably ain't gonna be Annabelle: Redemption. Maybe Annabelle: Resurgence. We've got our fingers crossed as usual for "The Legend of Curly's Gold" as a subtitle, but we're starting to get the feeling that Hollywood's never granting us that wish. The third Annabelle movie is set for a theatrical rollout next year on July 3, 2019. It will be preceded by The Nun, another spinoff of The Conjuring 2 that's scheduled to be out on September 7.